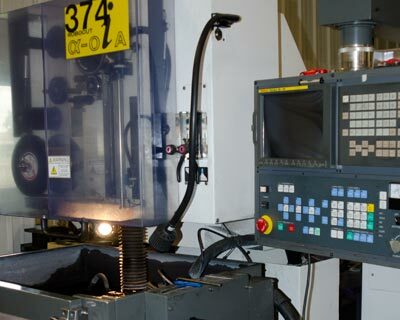 Our prototype/custom machinists have the experience and equipment to produce the exact model or custom part that you need. 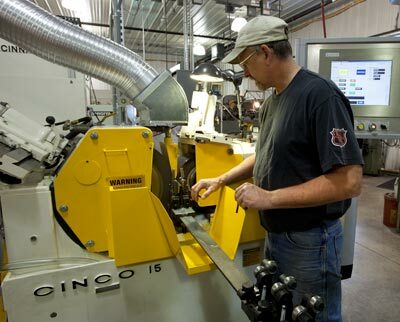 They will team with you and our engineers to turn your idea into a precisely finished prototype, or produce a custom piece to your exact specifications. 4	Hurco VM2 CNC Mill 18" x 46"
2	Hurco VM2 CNC Mill 18" x 46"
1	Milltronics RH20 CNC Mill 16" x 48"
5	Clausing/Proto Trak Mill 12" x 40"
1	Chevalier Hydraulic Surface Grinder 12" x 28"
3	Mitsui Hand Surface Grinder 6" x 12"
1	Agie Mondo Star Conventional EDM 25" x 33"
1	Elox Conventional EDM 18" x 30"
1	Ex-Cell-O Conventional EDM 12" x 20"
1	Epilogue 7000 Table Top Laser System 12" x 24" x 5 1/2"